If getting one electric bill isn't bad enough, imagine getting a second one for power you’ve never used. The folks sending the bills via email don't really want you to pay a bill. What they want is to infiltrate your computer and install malware. “It’s very official. The email seemed very official,” said retiree Wendell Luttrull, who received one of the fake power bills. The Florida Power & Light customer knew something wasn’t right when he received an email from Atmos Energy for an overdue natural gas bill. “Looking at the email, I realized I have an assigned account number with this company and that I owe them $16.40. I’ve never heard of this energy company which is Atmos,” said Luttrull. 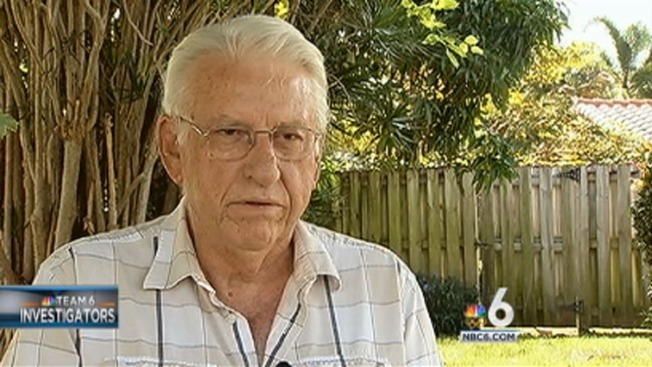 He lives in Flagler Beach near St. Augustine, but spoke with NBC 6 in Pompano Beach while he was visiting South Florida. It turns out Atmos Energy is a legitimate company based in Dallas. Luttrull could not owe them money because they don’t do business in Florida. The company has a warning posted on its website not to open any links contained in the fake power bills. “We don’t know what the motive is behind this scam other than the potential of harming your computer and getting your personal information through malware,” Atmos spokesperson Jennifer Ryan told the Team 6 Investigators. Thieves can then use that personal information to spend your money without you knowing it. Atmos has been inundated by concerned calls from as far away as Europe. Luttrull said he’s glad he didn’t open any links in the email. The Team 6 Investigators did and, within moments of opening the link, it shut down our computer. Our IT team found 23 instances of malware installed. An Atmos spokesperson said the company doesn’t know how many people have received the emails but said that Atmos knows they originate in eastern Europe. Other companies have recently been hit by similar schemes. When in doubt, call customer service to verify an email is real before paying the bill or opening any links.